Mrs. Lincoln's Inkin: Let is Snow!!! Hi there my crafty friends! Thank you for stopping by Mrs. Lincoln's Inkin' today!!! 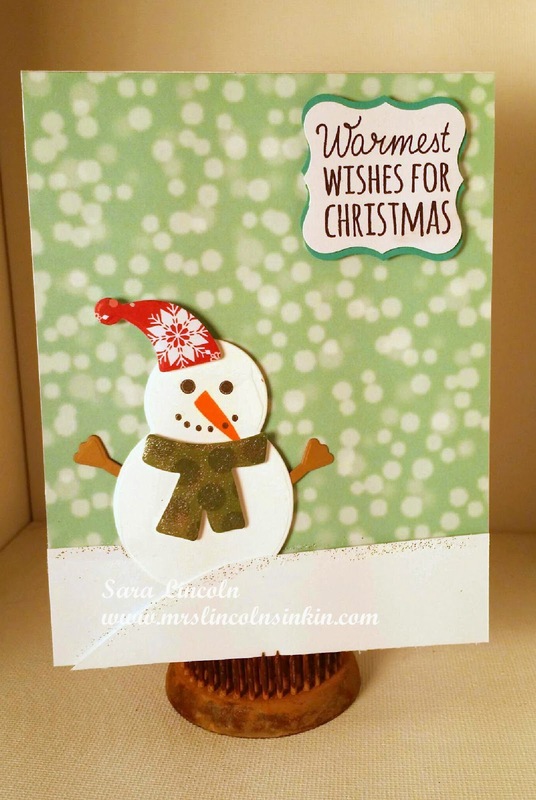 Here in the mitten state today we have been getting pounded with the snow (which i am LOVING) so i thought i would post another Christmas card today that features a snowman ...since you make them with snow lol. 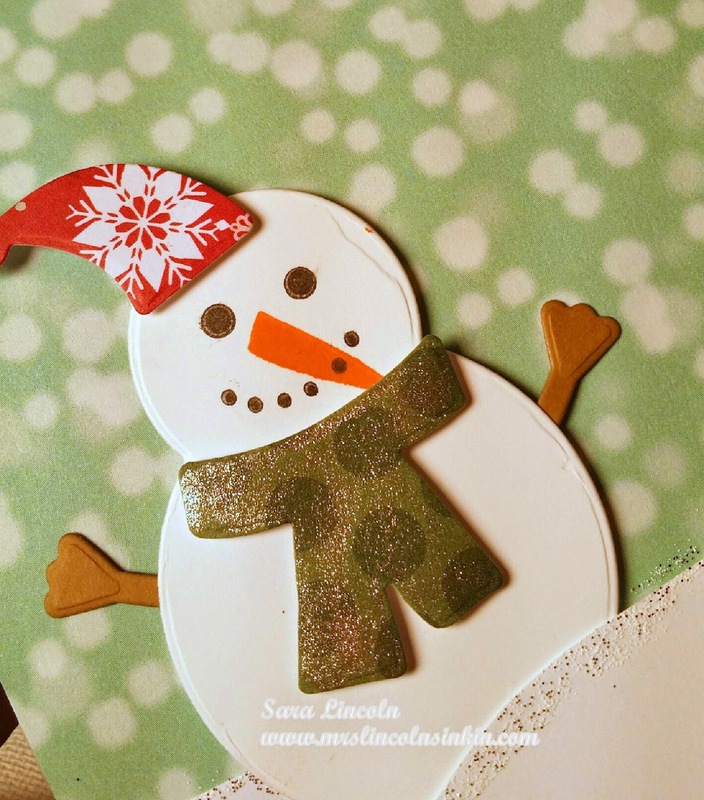 The stamp set that i used today is Build a Snowman by Simon Says Stamp. This set is awesome!!! It comes with a matching die set which has a die for each stamp that is in the set!! It's amazing!!! For my card i used a piece of Whisper White by Stampin' Up! and then used a piece of DSP that came from the Snow Day Collection Kit by Lawn Fawn. This kit comes with some great DSP, stickers and a few embellishments. I just thought that the paper was adorable and knew it needed to be part of my collection. One of my favorite new products is the Wink of Stella pens. This is a pen where you can wipe on either a clear gloss, which is what i used on this cute little fellows scarf, or you can get a variety of colors.